I used to have this weird fear of making my own pannacotta. 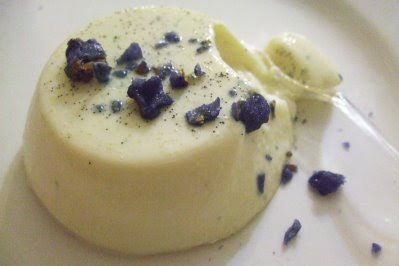 I remember having an amazing vanilla bean pannacotta at an Italian Restaurant in Melbourne years ago and for a year after that my brother and I went on a long mission to recreate this pannacotta at home. We bought the vanilla beans and the gelatin leaves and tried countless recipes, but they never turned out right. They were either too hard, too soft, too creamy or too watery. And then we just got over it and moved on. I even stopped ordering pannacotta in restaurants because it could no longer live up to my ridiculously high dreamed-up expectations of the dish. For the last month or so I've been itching to try making my own homemade ricotta. I managed to get a hold of some cheesecloth and I finally got around to doing it the other day. I could not believe how ridiculously easy it was. And so yummy! Being the first experimental batch, most of it got eaten on its own, or with slices of apple and drizzled with honey and cinnamon. 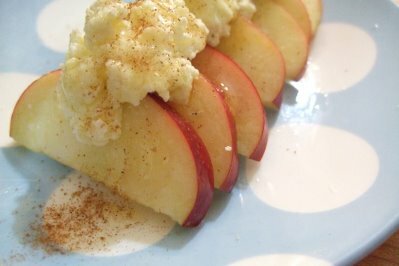 I planned to make some of Bill's ricotta hotcakes, but then I came across a recipe called 'Heavenly Pannacotta'. It just sounded too lovely to resist. I cheated a little with the recipe, since I only had powdered gelatin. 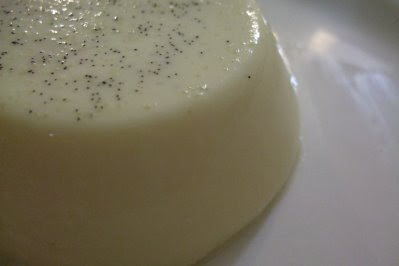 But the texture turned out just right, there was just enough gelatin to hold the pannacotta together with a nice wobble. 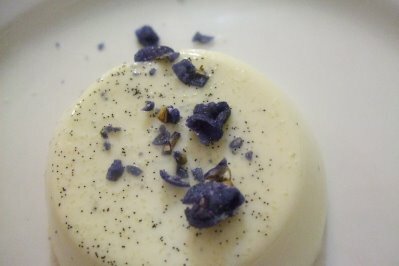 The mixture melts in your mouth and some crystallised violets on top add some lovely colour and a sweet floral flavour. I didn't have any moulds so I used a cupcake tin, which worked okay but it was a b%tch to unmould! I wouldn't recommend it. 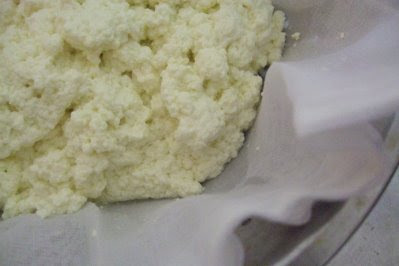 Place the ricotta and 1/2 cup milk in a medium bowl and whisk vigorously until the ricotta is smooth and lump free. Place the heavy cream and sugar in a medium saucepan. Scrape the seeds from the vanilla bean with the flat side of a small knife and add them to the pan along with the bean. Place the mixture over medium heat and bring just to the boiling point, whisking occasionally. In the meantime, whisk the gelatin into the remaining 1/2 cup milk and set aside. When the cream mixture has scalded, turn off the heat. Whisk in the remaining 1/2 cup milk and gelatin mixture. Gradually pour the liquid into the bowl with the ricotta, whisking constantly until the mixture is completely smooth. 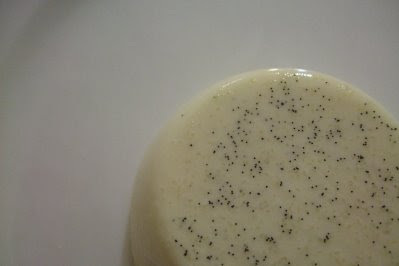 Remove the vanilla bean an strain the mixture through a chinois or fine-meshed sieve. Divide the panna cotta among 6 dessert glasses and refrigerate until set, about 4 hours. When you are ready to serve, sprinkle crystallised violets on top. Slowly bring milk, cream, and salt to a rolling boil in a 5-6L heavy pot over moderate heat, stirring occasionally to prevent scorching. Add lemon juice, then reduce heat to low and simmer, stirring constantly, until the mixture curdles, about 2 minutes. Oh! And don't put your violets on until close to serving time, or they will dissolve and make your pannacottas an eery blue colour-trust me, haha. i'm so confused because i didn't know people could make their own ricotta. cheese mystifies me (in a good way). wellll...technically it's not the same as store bought ricotta, because that's made from the whey of other cheeses. But it's very tasty :) And probably a lot more unhealthy unfortunately! wheee! welcome to the homemade ricotta-esque cheese club :) love making pannacotta, but after seeing all the cream that goes into it, i get too scared to eat it... yours looks lovely Steph! 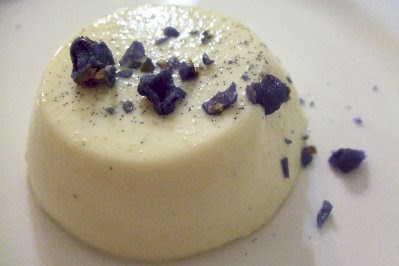 The violet panna cotta looks absolutely divine! You are too clever. And I didn't realise ricotta had so few ingredients - I might try making it myself. How much ricotta did you get from your 2L? It's great that you made your own. 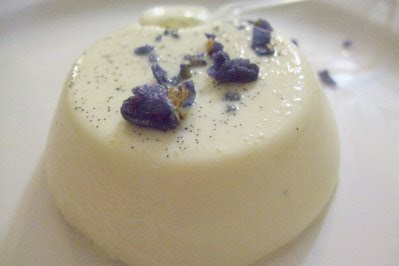 The panacotta is very pretty with the violets. Homemade ricotta... I didn't know it's so easy! Note to myself, must try! I was reading your posts about your home trip to Malaysia... drooling over the food!!! Trisha - haha thanks! a lot of bloggers have posted about it and I've been itching to try my own ever since. shez - YAY! I wanted to try yours but I had no buttermilk :( Yeah I know, I have to force myself to have tunnel vision when it comes to making it, and other desserts. Cream, butter and sugar have all become invisible happy places that I don't pay attention to! Arwen - I got around what the yield from the recipe suggest - about two cups. Not heaps but enough to do something decent with! Ellie - Yeah I was surprised how easy it was too. Ooh yes make sure you eat lots of it when you go for your trip! wow your amazing. they look so yummy. 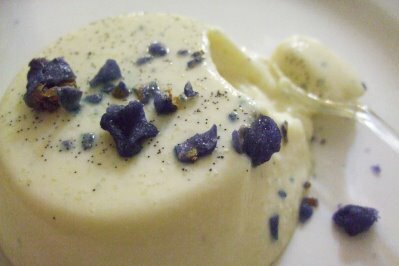 wow wow wow... it is one of the most beautiful homemade pannacotta I have seen. Aww what a massive compliment! :D Thanks so much! That looks so good! The crystalised violet contrasts so nicely against the milky white pannacotta. Appropriately feminine and fragile looking.